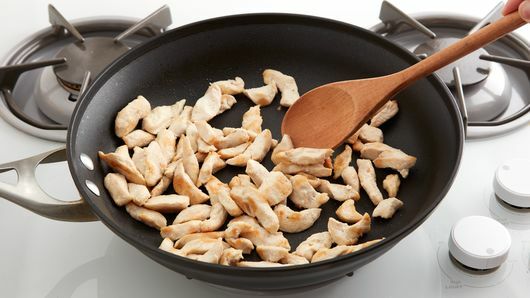 In 12-inch nonstick skillet, melt 1 tablespoon of the butter over medium-high heat. Add chicken; cook 6 to 7 minutes, stirring occasionally, until chicken is no longer pink in center. Remove to plate. In same skillet, melt remaining 1 tablespoon butter. 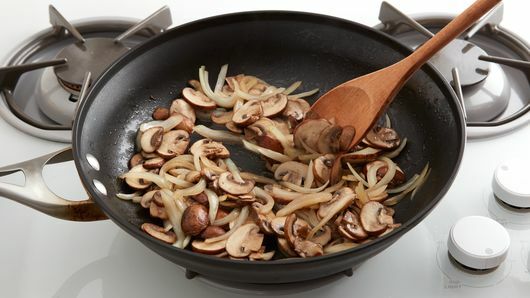 Add mushrooms and onion; cook 5 to 6 minutes, stirring occasionally, until onions are tender. Stir in flour, salt and pepper. Reduce heat to medium. Add chicken and broth; cook 3 to 4 minutes, stirring occasionally, until slightly thickened. Stir in sour cream until well blended and heated through. Top with chopped fresh thyme, basil or parsley as a garnish. 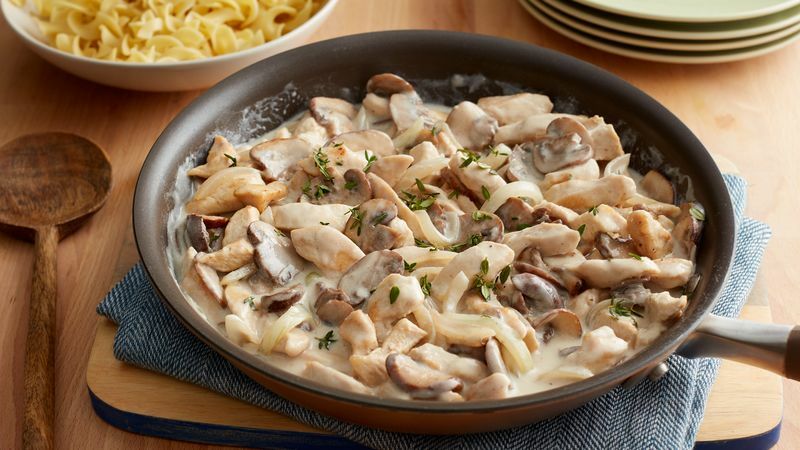 Serve this chicken stroganoff with egg noodles. To save time, purchase sliced crimini mushrooms in the produce aisle of your favorite grocery store. Our easy chicken stroganoff is a nod to the traditional beef stroganoff made in early 1800s Russia. This dish gets its name from Count Pavel Aleksandrovich Stroganoff, a wealthy member of the Russian elite, whose chef named the dish after his benefactor. It’s still a very popular comfort food today! 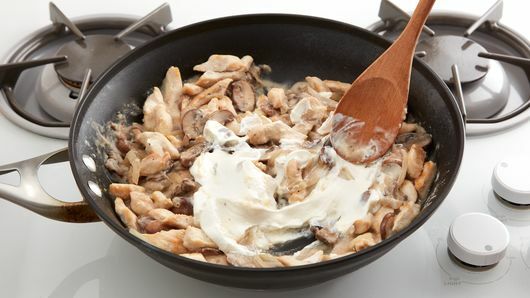 By using chicken as the protein of choice, this stroganoff has less cholesterol and saturated fat than its beefy counterpart, giving you a delicious, yet lighter option. We recommend serving our easy chicken stroganoff on top of egg noodles, but you can pick whichever pasta you want. Fettuccine or angel hair pasta are great options or, if you’re craving a twist, you can serve this stroganoff on top of plain rice, spaghetti squash or even zucchini noodles! Want a chicken dinner on the table in 30 minutes? We’ve got just the collection for you! Featuring favorites like Crispy Caesar Chicken and One-Pot Chicken Piccata Pasta, these are all the recipes you need for a quick, satisfying bite to eat. Or, you can browse even more chicken recipes for poultry ideas to last you all year.